Ahead of the expected May poll, opposition spokesman on defence Richard Marles has reaffirmed Labor’s commitment to the $50 billion future submarine program, but has stated that a Labor government would conduct a review of the project to ensure suitability. The signing of the Strategic Partnership Agreement (SPA), the signing of the Attack Class submarine design contract, the formal signing of the Framework Agreement between Naval Group Australia and ASC and the request for expressions of interest (EOI) for capital equipment related to the Submarine Construction Yard (SCY) in recent months appear to demonstrate the gathering pace of the $50 billion SEA 1000 program. Despite these recent project milestones, opposition spokesman on defence Richard Marles has identified in an interview with The Australian that the $50 billion contract would be one of the key programs of focus for an incumbent Labor government. Marles has in the past raised concerns about the future viability of the submarine as a strategic deterrence platform, which appears to be the core premise of any proposed review into the Future Submarine Program. "We should not assume, for example, that the state of science which makes the submarine king in 2018 will always persist ... Yet there are large numbers of scientists seeking to lift the veil of the sea. If they do, the continued role of submarines becomes uncertain," Marles outlined during an address to the Submarine Institute of Australia in late 2018. Building on these concerns, Marles reiterated persistent concerns about capability gaps resulting from the projected delivery time frames for the Attack Class, beginning with HMAS Attack, which is expected to be put-to-sea in the mid-2030s, with a cadence of a new submarine entering service every two years following out until the 2080s. Malcolm Davis of the Australian Strategic Policy Institute (ASPI) outlined the growing capability gap concerns that are first and foremost in the minds of both government and opposition defence ministers, saying, "I think Navy’s acquisition of the Future Submarine is right (absent a current option for nuclear powered and propelled submarines) but it’s going to take way too long to acquire the boats. "We won’t have five Shortfin Barracudas out of 12 until the mid-2040s, for example. In the interim, we have to soldier on with a fleet of six ageing (though updated) Collins Class boats. Updates will be expensive, and a concern would have to be whether those updated Collins will be sufficient given the rapid modernisation of China’s SSN (nuclear powered) and SSK (diesel-electric) fleet," Davis said. While any proposed pause to the project as identified by Marles during his interview with The Australian would serve to delay the acquisition program, Marles' previous commentary reinforces Labor's commitment to delivering the Attack Class, while highlighting the opposition's promise to minimise any capability gaps, should it become apparent one is unavoidable. 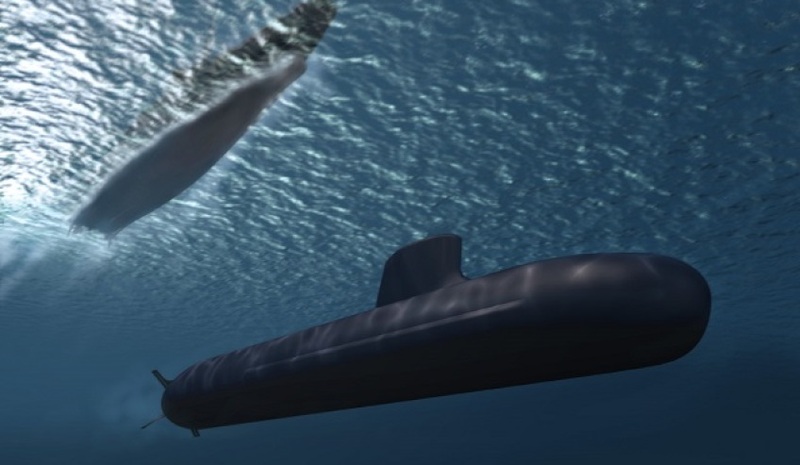 "In acquiring the Future Submarine it is imperative that no capability gap is created in the transition from the Collins Class submarine to the future submarine," Marles said. "In thinking through the issue of preventing a capability gap arising, attention must not only be given to the submarine itself, but also to the critical need to train the large number of extra submariners we will need for them." This focus also supports Marles' commentary around the Future Submarine Program, which has remained consistently focused on ensuring that the platform delivered would provide the ADF with the strategic deterrence capabilities promised, Australian industry with certainty, and Australian tax payers with a value-for-money platform capable of performing the roles government requires. "That said, a Shorten Labor government would actively manage the Future Submarine Program with a view to ensuring: that our capability needs are met as measured against our competitors, that the program delivers value for money, and that the program is genuinely leveraging the building of an Australian defence industry," Marles explained.